Within Tithe.ly ChMS, Pages, Posts and Files all share the same lockdown system to help limit who can view certain content. When you apply a lockdown on an item, a user must match the requirements in order to see it. These requirements are met using a series of Logic Statements, based on the users profiles, based on a number of rules.If you don’t specify any lockdowns, anyone with access to Files/Posts/Pages can access the item. Below is an example of a locked down file. 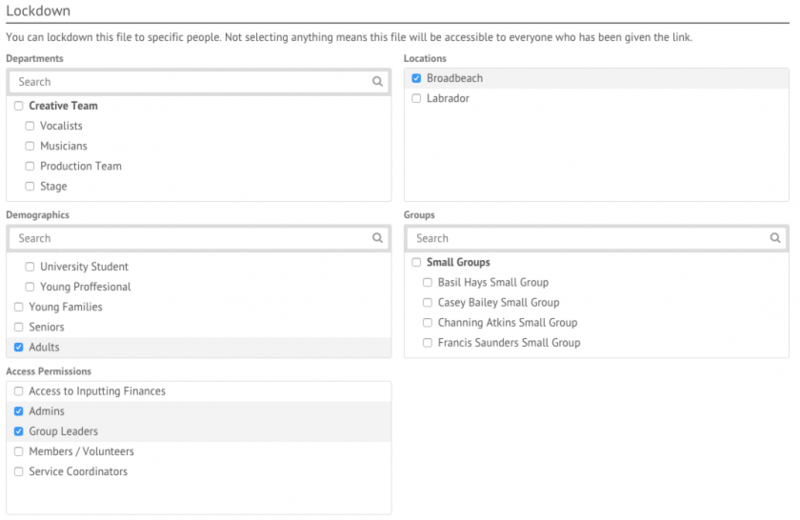 To have access to this file, users must be in the Adults demographic, be located at the Broadbeach location and have the Admins or Group Leaders Access Permission. The system will not use Departments or Groups for the lockdowns, as they have been left blank. When an item is placed within a folder or category, it will inherit the Lockdowns from the folder or category. Users will then need to meet the requirements for both the item and its parent. Let’s assume the file in the example above is placed into a Folder with the following lockdowns. 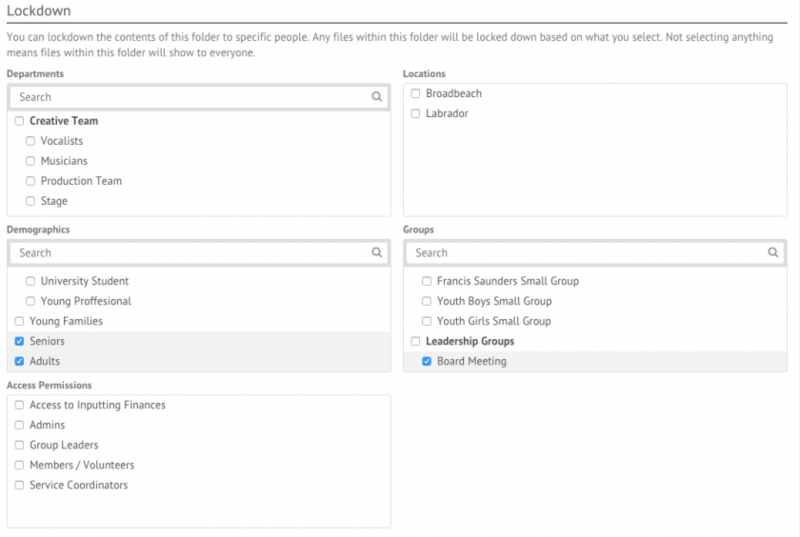 To see anything in this folder, users will be required to be a member of a group within the Board Meeting group, and be in the Seniors or Adults demographics.